Seal, who has just a ridiculously long name, is reportedly divorcing his supermodel wife of six years, Heidi Klum. 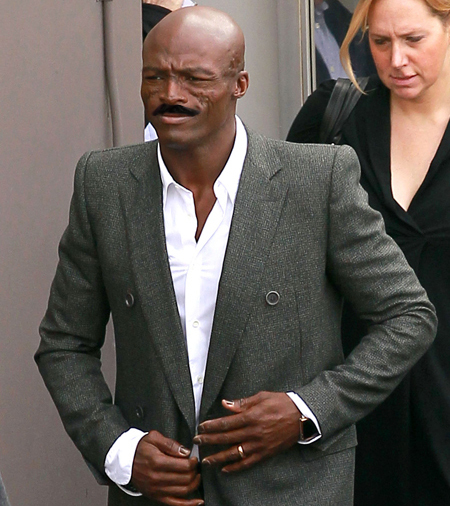 It looks like Seal might be trying to go incognito with this fake mustache I just photoshopped on him, but as you can see the white women have wasted no time following him around now that he is available again. This entry was posted in Celebrity Steesh, Musician Steesh, What If They Grew A Steesh... on January 25, 2012 by Los Bulls.